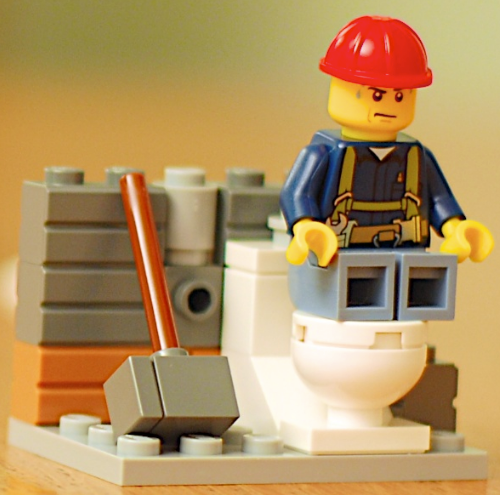 Ever wondered how long it would take you to poop out a Lego? Pediatricians in the UK have finally answered one of life’s grand riddles: Just how long would it take for a Lego toy accidentally swallowed by someone to gracefully make its way back out? The answer comes courtesy of a recent study published last week in The Journal of Pediatrics and Child Health. The six authors of the study all volunteered themselves to ingest the head of a typical Lego figurine. On average, the authors reported, it took 1.71 days for the Lego poop to finally emerge, at least for those who actually found it. One of the doctors never spotted their toy, meaning they either just missed it or that the head might have gotten stuck somewhere along the gut, destined to come out at some other inopportune time or just languish in the body for years to come.